My first attempt at the family business. I never dream of some little boy fighting dragons or eels or an old man in the desert spitting out metaphysical crap. I dream of continuous torture by beasts like myself. I dream of battling a kid who always wins but doesn’t listen. Are these my dreams, Moses’ or some reality I don’t understand? So crazy, yes. A state of mind. A state I reside in. 1. mentally disturbed; deranged; insane; demented. 2. enraged; greatly provoked or irritated; angry. a. abnormally furious; ferocious: a mad bull. b. affected with rabies; rabid: a mad dog. 3. Informal . intensely enthusiastic; passionately excited: crazy about baseball. 5. Informal . intensely anxious or eager; impatient: I’m crazy to try those new skis. 6. Informal . unusual; bizarre; singular: She always wears a crazy hat. 7. Slang . wonderful; excellent; perfect: That’s crazy, man, crazy. the crazies from being cooped up belowdecks for so long. Insane, crazy or mad; it all sounds like someone who doesn’t fit within the village. That’s the point of my journey. I don’t fit. 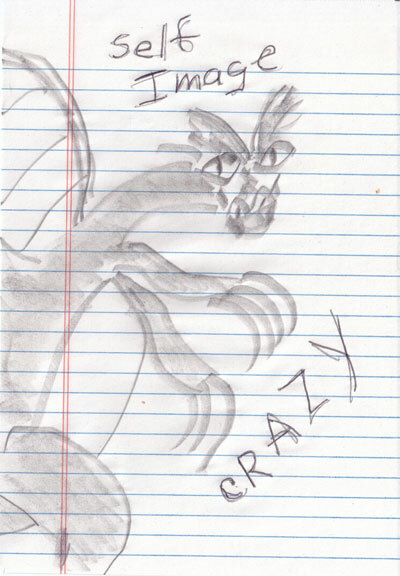 Thus, I am crazy. Oliver tries to find a fit, yet comes up empty. So, he believes he is crazy, mad, insane. No one truly feels a part of the village. So, tell me, who is crazy and who is a part of the village. I realize I haven’t kept up with Moses’ blog very well. In reality, there hasn’t been much to post. Moses is out there, somewhere, in parts unknown. Oliver pulls farther away daily. He spends all his time at Moses’ house now. So I find myself the same as before I was contacted; alone without a son yet forever changed. I realize Oliver feels he is not my son. That may be true. But, the fact does not make my pain easier to handle. He looks like what I envisioned Oliver would as an adult. But more and more he sees me as the woman who found him in the desert, not his mother, not even a mother figure. At first, we spent time together. But from the beginning, I felt his need to pull away. There is anger deep within that burns. He is in counseling but that just seems to fan the flames of his rage. Oliver does not seem resentful towards either Moses or me. It is directed more towards himself and the universe. We haven’t seen one another in a week. The last thing he said to me was that he thought he might be insane. This is only a moment of clarity granted to distract him from madness. Clarity, a word Moses used quite often in his posts.